NanoSonic believes our responsibility is to help protect the environment as we work and make our products, and that extends to our home community of Giles County, Virginia. We love our community and want to be a good neighbor. 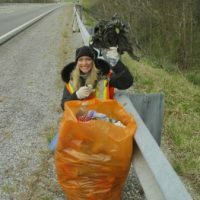 As part of our involvement, we help clean up litter along the local highway and nearby river. We also support our local Food Pantry through an annual food drive. NanoSonic’s support of local programs also extends to helping high school students learn about nanotechnology through research internships. Our educational outreach also includes an annual scholarship to a college – or trade school – bound high school senior who plans to focus on an area of study related to the fields of science and technology. To help maintain our beautiful rural location, we adopted part of highway US 460 along our facility entrance where we pick up litter four times a year for the Virginia Department of Transportation (VDOT). 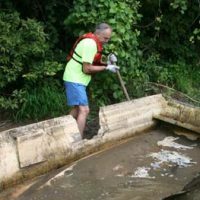 We are active participants in this environmental effort to protect and preserve the New River, which is a stone’s throw from our facility. 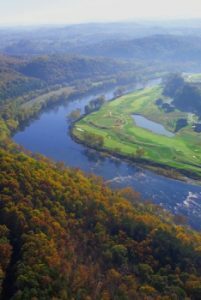 The New River is an American Heritage River of the USA and is considered one of the oldest rivers in the world; this is why we participate in ‘ReNew the New’ to help protect it. At NanoSonic we recognize that part of our responsibility is to help people understand what we do, including how we make new materials and how we do it in an environmentally-friendly way. If we can impart a little knowledge, we believe students will bring their own special talents and passion to science and technology, where they can innovate in a rapidly-evolving world. NanoSonic is committed to enhancing the educational experience of area youth and supporting the national agenda to promote science, technology, engineering, and math education (STEM). Our efforts with local schools include participation in various programs for high and middle school children to learn about how technical topics are applied in a real-world laboratory and manufacturing facility. Engineers and scientists at NanoSonic excite and educate participants in the Giles County Public Schools’ Gifted Education Program’s annual Summer Exploration. We develop classes for student, who range in age from kindergarten to sixth grade, offering hands-on experiments. We are able to tailor our programs to a specific curriculum based on the Virginia Standards of Learning for each grade that will reinforce and enhance the topics students are learning in school. NanoSonic offers an annual scholarship to a college- or trade school-bound senior from Narrows High School, Giles High School, Blacksburg High School, Auburn High School, Eastern Montgomery High School or Christiansburg High School in Virginia who has shown exemplary achievement and interest in the field of science and technology. Please click on the appropriate link below, download the application and submit the required information and documents according to the guidelines on the form. Giles County students should follow the scholarship submission guidelines according to the their Guidance Department procedures. Sixth graders from Giles County, Virginia arrive at NanoSonic to tour our facilities and observe demonstrations in nanotechnology. Students learn about nanotechnology through hands-on demonstrations as part of a FIRST LEGO League challenge.